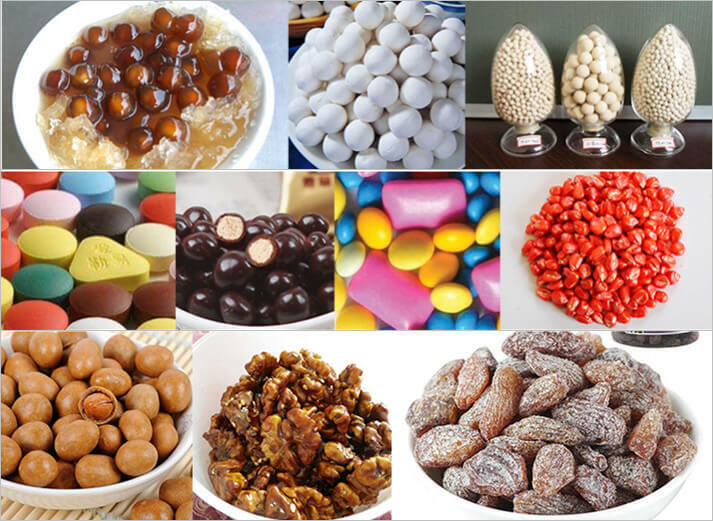 Amisy sugar coating machine is widely used in the pharmaceutical industry, candy processing industry, and snack food industry, and it is also used to process many kinds of grain food like Japan bean, hollow beans, beans fishskin peanuts, Chocolate beans, Chocolate peanut, candied peanut in the variety of food coating. The machine is composed of rolling pan, machine frame, transmitting system, and heating system. 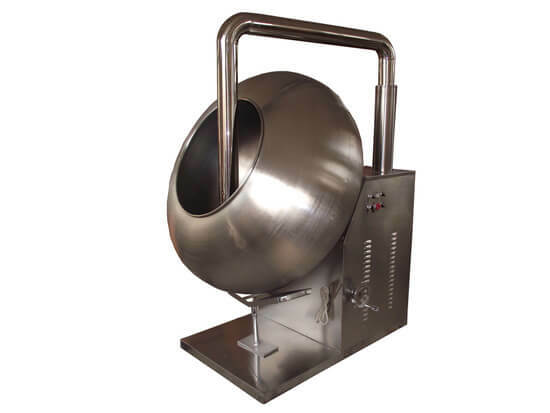 This machine is more suitable for coating of non-circular material or high viscosity material. The cooperation of motor and reducer can reduce the processing speed to an easy operation state. The sugar tablet will have a bright and smooth surface. Our systems are able to deliver a high-quality sugar coating basic for hard candy or soft candy. Auxiliary equipments: spray tank, pump,temperature controller,cart ,etc.